With school starting back up, now is a great time to focus on some mobile games to take the edge off during your break from class…I wouldn’t recommend gaming in class, I tried that in grade 11 through 5th year university…. So today I bring you Asphalt 8, which by the way is free for the moment! Asphalt 8 is an amazing racing game on the iOS from publisher Gameloft. 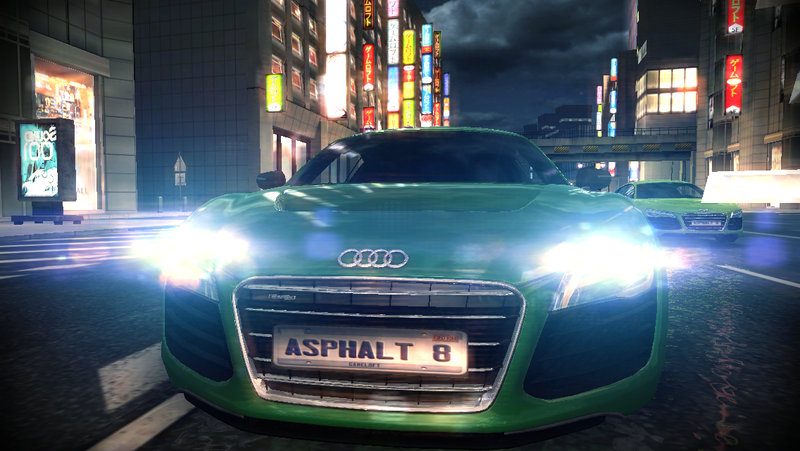 Asphalt 8 lets you feel as if you are playing an A+ title on the consoles in the palm of your hands. The first thing I noticed about the game was the graphics. The game looks amazing! I could not believe that I was playing this game on my phone. They also added real tracks to the game rather than generic music; it was a nice touch to race to Skrillix! 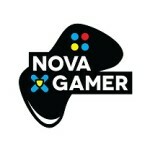 The game play is very similar to other racing games on mobile platforms. The acceleration is automatic; steering is controlled by tilting the device, leaving the left and right side of the screen to control breaking and boosting. 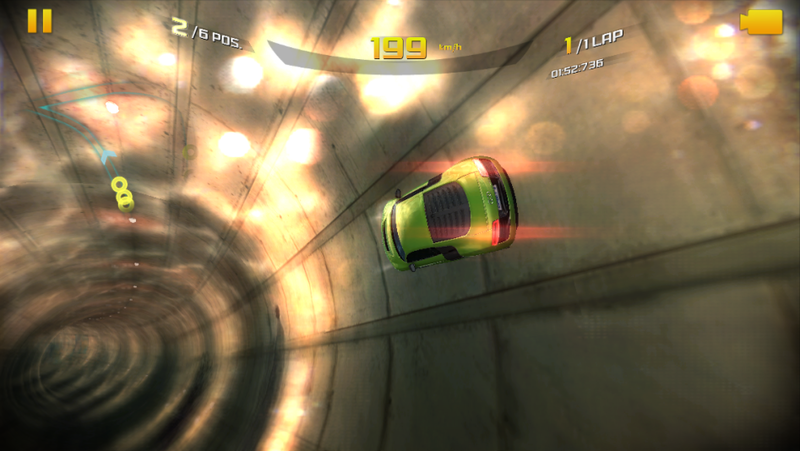 Asphalt 8 introduced multiple paths for racers to take along with some gravity defying ramps. This adds a ton of replayabiltity and difficulty to the races because it is very possible to take a path that takes you way off course. The game does feel a bit slow considering the speeds you are actually going. It’s hard to explain but the game just seems to lag a bit…It does not take away from the game play at all, but it is noticeable! Asphalt 8 is defiantly worth the download! Try it!